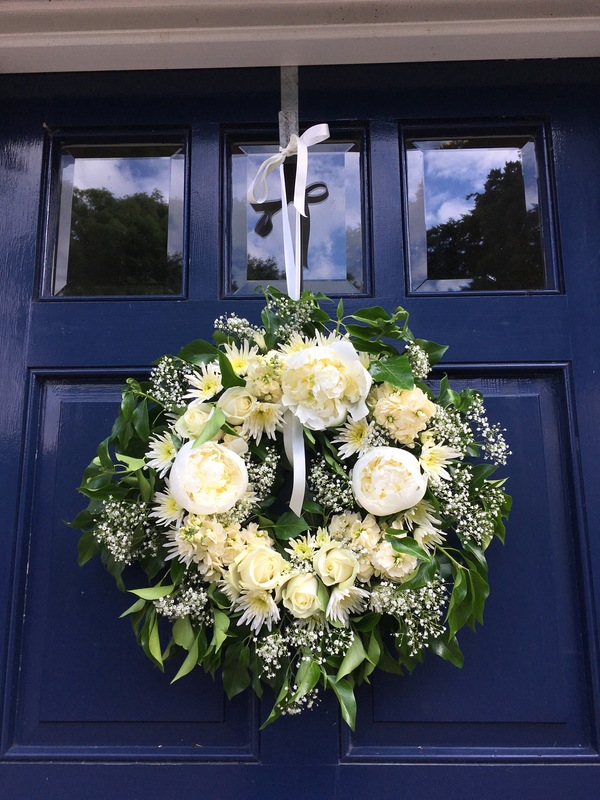 White flowers for a blue door. A cheerful welcome to all. It sounds from your comment above as though we are having the same weather, although everything is still frozen here. Love your wreath Karen! Super beautiful! I love blue/white combos. What a beautiful welcome to your home; but won’t the flowers become frosted? It is a bit murky here today too after a glorious day yesterday. Beautiful wreath, especially on the blue door. What a lovely wreath, nice contrast with the door… Good job! That looks beautiful, a perfect combination for that rather lovely door! Lovely – and such a beautiful welcome! The wreath is such a striking contrast with the blue front door – and sadly reminds me how much our own front door needs repainting! !